Life with Lesley: Fireproof DVD Giveaway! I found this awesome giveaway on 5 Minutes for Mom. 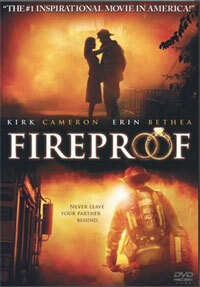 They are giving away 3 copies of the Fireproof DVD to some lucky readers. All you have to do is leave a comment here. Go to their site to find out more. What a neat giveaway, I will definitely tell my sister to check out this giveaway. Thanks for sharing!! P.S. I noticed that Christians share about giveaways and non-believers keep it a secret because they don't want more competition LOL! Great job on adding your layouts to the bottom of your blog Leslie!